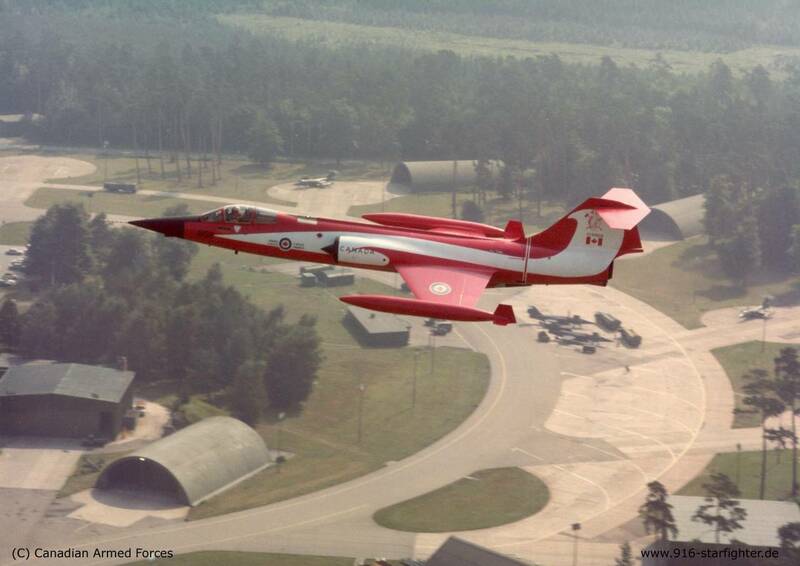 In 1981, Canada's 421 Squadron painted Starfighter 104868 in overall red with a white "swoosh" on the occasion of a visit to the UK which coincided with the 30th anniversary of the RCAF's 1 Air Division, and the squadron's upcoming 40th birthday to be celebrated in 1982. The aircraft was nicknamed "Flying Coke Can" or "Flying Coke Bottle". In 1/48, this decal comes printed on two sheets. The printing is very crisp and in register. The few bits of text are easily readable. The white stripes which make up the bulk of the colour scheme are on this sheet. They are double printed so as not to be transparent, a plus when being applied over vibrant red. This sheet contains the roundels, flags and remaining smaller markings. The instruction sheet mentions that the decals may be harmed by strong setting solutions. I did a test using portions of set #48007and my poor old knocked-about Revell 1/72 Voodoo which shows that used carefully, Solvaset did not damage the decal, and that used without any setting solution at all, the decal still conforms to the moulded detail. At the time this scheme was applied, CF-104s were equipped with Radar Warning Receivers below the nose and at each side of the rear fuselage just forward of the exhaust nozzle. Drawings of the receivers are provided on the instruction sheet, but the receivers themselves are not offered with the decal. Some Starfighter kits have the receivers but many don't, especially those in 1/48. They may be sourced from Daco's Starfighter Improvement kit in 1/48 scale once it is released, or carved from sprue. Starfighter 868 over the dispersal at CFB Baden-Solingen. Highs: Crisp printing, never before offered. Lows: RWR receivers must be scratchbuilt or sourced separately.